Easter activities are over and Spring is definitely in the air! The birds are chirping and gathering twigs and dry leaves for their nests. 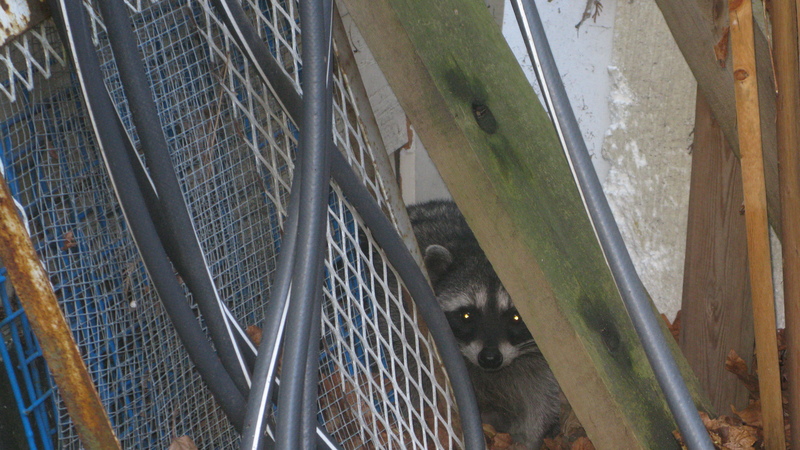 Momma Raccoon’s babies (remember them from my Spring post 2013?) have returned to our backyard in search of a den for their soon-to-arrive little ones. And of course, it’s time for a make-over or two for some people. Spring makes everyone want to start fresh which may include purchasing new Spring clothes or even getting that long overdue haircut! My Man just had his “Willie Nelson” locks trimmed and I will soon be getting a new look too. Last week a good friend of mine had her luscious long locks trimmed and she looks as stunning as ever! It seems that everyone wants to get into the Spring spirit…and what better way than with a new hair do! 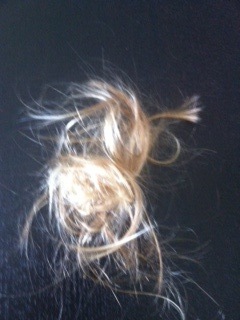 It’s no doubt this may be the reason my friend’s little three-year old cut her own hair yesterday! Yes, a parent’s worse nightmare! Well okay, maybe not the worse, but still devastating when you see your sweet little one with stubble poking out all over her head where once her long, silky soft hair flowed all the way down her back. Oh, I can sense all of you shuddering! Or are you remembering? Now as an “older” mom, I can only give advice based on my own experiences with my own children. This is devastating absolutely. Your child needs to know that it’s wrong. And here’s my advice…don’t make this into a too huge of a deal because a three-year old will remember how you as the parents reacted all the rest of her life! Yes, it’s happened with my kids too. They both snipped away at their own hair. See Grandma’s dog? 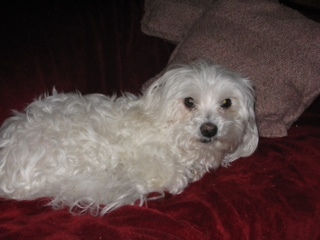 My eldest decided that her Maltese needed a hair cut! And yes, they do recall their scoldings too! Come to think of it, this “cut my own hair thing” happened to me too! I was not that little and should have definitely known better when I took the scissors to my hair! I’m ashamed to admit this…but I was almost 10 years old! I had long blonde hair all the way down my back. I recall strangers coming up to me and commenting on my long hair! I guess I should have been happy about that. But what I really remember was that my hair was a major frustration and a torture to me! I couldn’t wear it loose and straight down my back to school because it would tangle and get quite messy by the time the school day ended. My mom helped me brush it every morning and put it in a ponytail for me. Well, this was torture some days because it hurt to brush and comb out the bedtime knots. It hurt to get all the strands pulled up tightly into a high pony tail and then fastened with a rubber band. Sometimes I had my hair curled with the iron curling tongs. These were exactly as they sound, blackened, made of iron and heated in our wood stove until smoking hot! 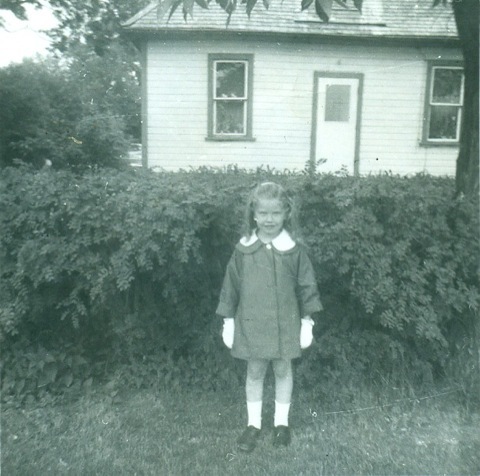 Mom would use a tea towel wrapped around the handles and when the smoke cleared, I would have ringlets in my hair. We didn’t have “products” back then and even if we did, who wanted to wear Dippity-Do all day in class! I never went to a hair dresser (yes, that’s what they were called back then). My mom would take the sewing scissors and give me a little trim once in a while. My rebellion happened when I saw other girls in my class at school getting bangs. I wanted bangs too! Of course I thought she was wrong and old-fashioned. So after school one day, I took the sewing scissors into the bathroom, and snip, I had bangs. I had been careful. They could not be too short nor could they be too long. It was done. However they didn’t look at all like my friend’s hair at school or the models in my sister’s fashion magazines. Oh no! What had I done? Mom was going to kill me! There was only one thing to do. I quickly took the scissors and cut off my bangs. Yes, right at the roots. I could pull some of my long hair over my forehead and hide it, but who was I kidding? One look at me and my mom knew. And you know what? It did! This entry was posted on April 30, 2014, in Family, Relationships and tagged childhood memories, children haircuts, family, kids cut own hair, Mom's advice, new Spring hair. Bookmark the permalink.